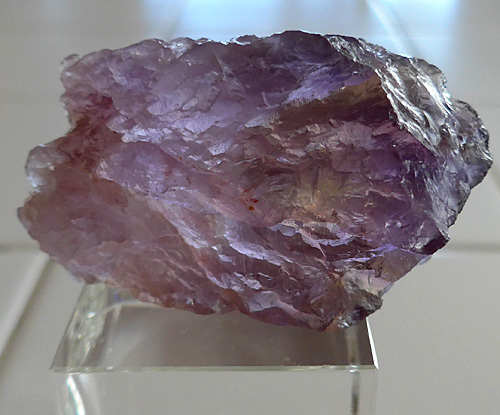 Dimensions (HxWxD): 3" x 1.85" x 1.1"
This superb 3" long Unpolished Bolivian Rainbow Ametrine Twin Fan specimen, weighing 4.4 ounces, or 125 grams, comes from the Anahi mine in Bolivia, owned by Ramiro Rivera. 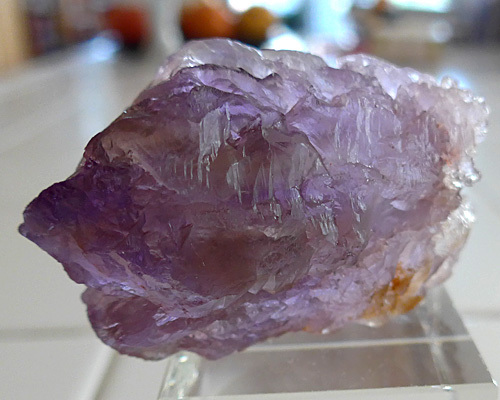 You can clearly see the twin wands that form this beautiful fan-shaped specimen, which is large enough to be an altarpiece, yet convenient to hold in the hand during meditation or crystal healing sessions. 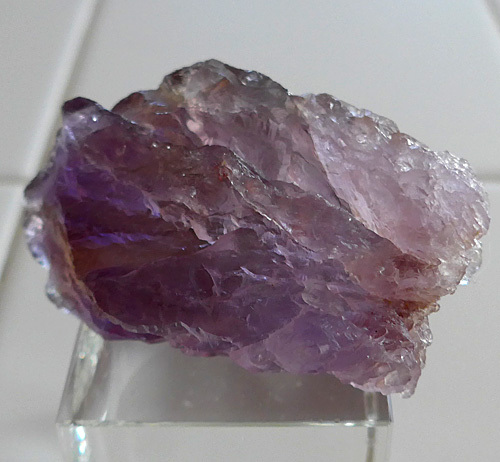 This Bolivian Striped Rainbow Ametrine is all natural, totally untreated material. 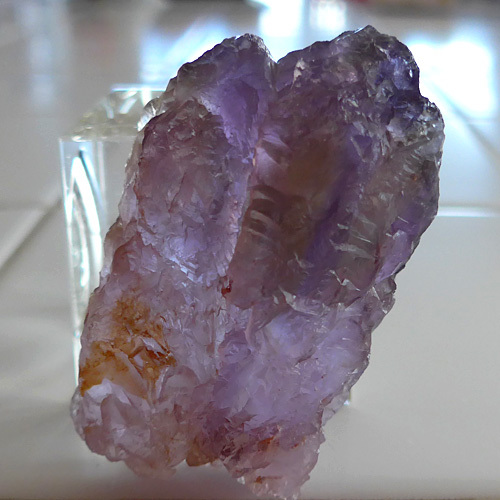 This is truly a rare mineralogical find, a collector's item and a Lightworker's power tool. 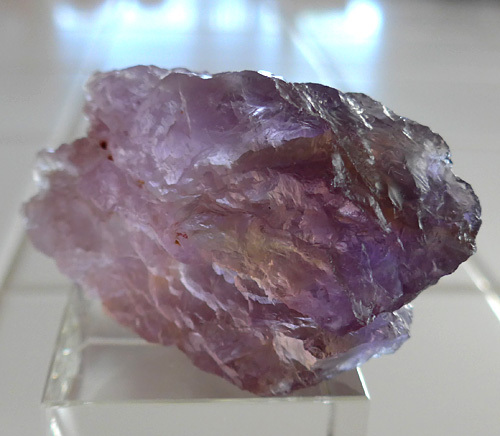 This beauty really luminesces in sunlight, showing long stripes of gold, violet and purple up and down the length of the shaft. Note: weight above is shipping weight. Actual weight is 4.4 oz. or 125 grams.